You can be a confident driver, you may feel like king of the road, but none of that matters if you let yourself fall victim to your driving test’s biggest obstacle: nerves. You can teach yourself everything there is to know about driving, you can know a car inside out, but there isn’t much to stop you from getting nervous when the big day rolls around. Thankfully, with this helpful guide, you might be able to tackle those nerves head on and focus on mastering your practical driving test. If you don’t feel ready to take your test, then don’t do it. There can be this misguided preconception that you need to complete your test within a certain timeframe, or that you’re wasting your money after a certain number of lessons, but this is not true. The only person who decides who is ready for you to take your test, is you. It’s better to wait until you are completely confident in your ability to pass than it is to rush into it and risk failing. In the weeks leading up to your test, perhaps divert your lessons towards the neighbouring roads of the test centre. Get a feel for the route that you could potentially be taking on your test. Speaking of which, the test centre itself can be quite a foreboding place, so get acquainted with it. Ask your driving instructor if it’s possible to perhaps drive up there, so as to avoid your first visit being the day of the test itself. You could even practise bay parking outside, if you have the time and the space. It is perfectly natural to feel nervous and you know what? You’re not alone. 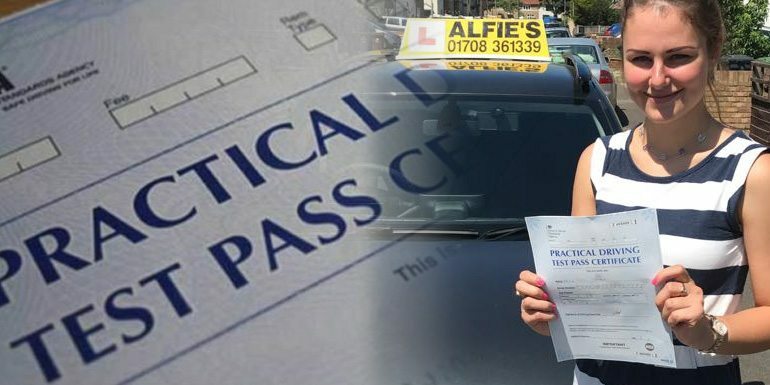 Ask anyone with a licence – your parents, maybe, or even your driving instructor – as it is highly unlikely that they were calm when it came to taking their test. Knowing that other people feel the same way that you do can make the whole ordeal seem a lot more approachable. Trading in a calm and forgiving instructor for a terrifying examiner judging your every inch of movement isn’t exactly going to help ease those nerves. You may think their personal goal in life is to watch you suffer, with their red pen hovering mere millimetres above your test sheet, ready to fail you at a moment’s notice. On the contrary, they want you to succeed, they want you to be able to drive out of the centre a fully qualified and safe driver. Talk to them before you set off, you might surprise yourself to find they are a human being like yourself. It’s more relaxing to drive with someone you can acquaint yourself with, than with someone you are simply scared to breathe in front of.